Hundreds of public servants, retirees and other categories of residents of Osun State trooped to the Winners Chapel, Osogbo, on Sunday to partake of the foodstuffs sent to the state by the Presiding Bishop of the church, Bishop David Oyedepo. The Osun State Pastor of the church, Olumuyiwa Emmanuel, had on Wednesday announced during a midweek service that truckloads of foodstuffs had arrived for distribution. 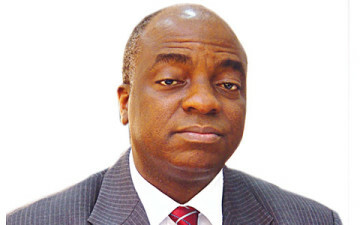 He directed members of the church to invite their friends and neighbours, irrespective of their religious affiliations. Emmanuel said the foodstuffs were sent to assist workers and others cope with the hardship caused by the non-payment of salaries. The pastor said, “The church has been blessed to be a blessing to others. Irrespective of their religious affiliations, we are blessed to affect the lives of others positively. “That is the reason the church has been giving to the less privileged ones. We have been distributing food items to members and non-members. The church also distributed foodstuffs last month. “God does not bless people so that they can be containers, he blesses people so that they can bless others and all of us must be doing that. Emmanuel announced after the second service that anyone interested in being a partaker of the largesse should wait. The pastor also announced that there would be free medical treatments for all kinds of ailments next Sunday even as he urged members to invite anyone that needs medical attention to come and benefit from the free services. Few minutes after the announcement, there was a long queue of intending beneficiaries waiting patiently for the distribution of the foodstuffs. Those on the queues were given rice, packets of tomato paste and vegetable oil. Some parents and their children queued separately in order to increase their rations. Some of the beneficiaries expressed gratitude to the church for the largesse, saying the nation would be a better place if religious organisations, corporate organisations and individuals started considering the less privileged ones.